Attorney Jeremy Levine founded his legal practice, The Levine Law Firm, in Austin, Texas, in order to help accident victims and their families secure the compensation and benefits they need after suffering an injury or loss caused by another party's negligence or wrongdoing. In addition, the law firm also represents commercial clients with all of their legal needs related to their businesses. Serving the Austin metro region, Travis County and the surrounding areas, Mr. Levine and his law firm provide personalized assistance and effective support to those adversely affected by motor vehicle accidents, bicycle and pedestrian accidents, slip-and-fall accidents and dangerous property conditions, work-related injuries, dog bites and other similar claims. Using his more than 20 years of legal experience, Mr. Levine works hard to recover the maximum amount possible for the damages his clients incurred as well as for their pain and suffering. Throughout his career, he has secured substantial settlements and awards on behalf of those he serves, and he has received many referrals and positive reviews from satisfied clients. 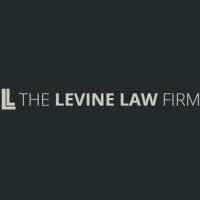 Along with personal injury law, Mr. Levine also assists business owners and corporate professionals with their important legal matters, including entity formation and business planning, real estate law, employment law, debtor-creditor issues, commercial litigation and more. Whether your legal need is personal or professional in nature, you can trust The Levine Law Firm for the high-quality representation you deserve. To discuss your case further, you can contact the law firm to schedule a free initial consultation.